Home / Blog / Meet the First ‘Dog Walk of the Month’ Winner! Meet the First ‘Dog Walk of the Month’ Winner! We think that there is nothing more enjoyable than having fun in the great outdoors with our best four-legged friends. The daily dog walk is often a source of many fond and happy memories for dog owners, so we wanted to give people a way to share these moments with fellow dog lovers. In February we launched our brand new ‘Dog Walk of the Month’ giveaway on Facebook. We created a simple platform for people to share their favourite moments from the dog walk with the added bonus of potentially winning a luxury Oscar & Hooch dog collar and lead set. The entries we received were absolutely stunning! 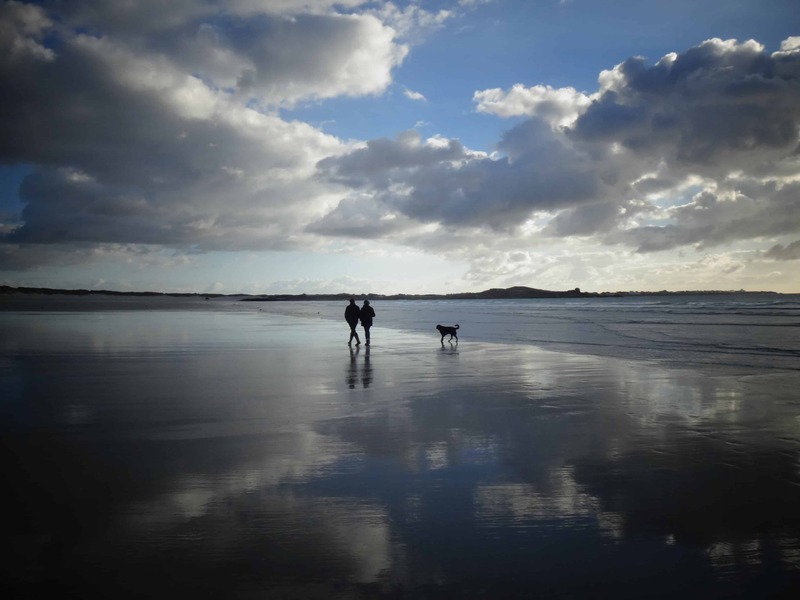 From winter snow walks to lazy beach strolls, it was fantastic to see the different adventures everyone has enjoyed with their dogs. Of course there could only be one winner, and for us it had to be the lovely entry posted by Isabelle Leybourne from Surrey. 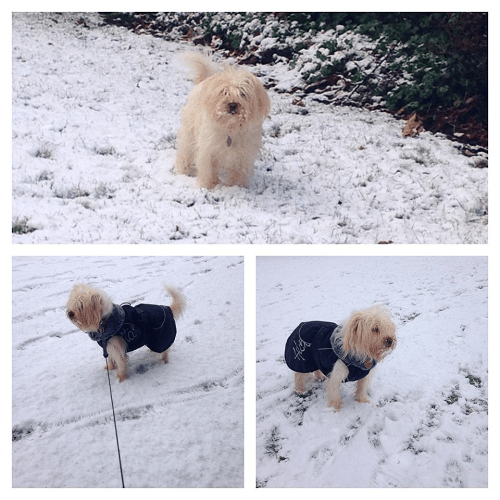 Meet Alfie, the gorgeous mixed-breed dog enjoying the snow for the very first time in his life! In her entry, Isabelle explained that as Alfie came from Cyprus he’d never even seen snow before let alone played in it, so we’re thrilled that she chose to share this moment with us. Alfie looks very much at home in the snow, you’d never know it was his first snowy dog walk! Isabelle and Alfie have chosen a luxurious Ocean Breeze collar and lead set and we think it’s the perfect choice for their future outdoor adventures. The colour will look great against Alfie’s coat, so he can really show off his style on the dog walk. The response we received for the ‘Dog Walk of the Month’ giveaway has been amazing and we can’t thank everyone enough who took part. We’re now searching for March’s ‘Dog Walk of the Month’, so be sure to visit our Facebook page and share your favourite dog walk selfie for a chance to win your dog a brand new collar and lead set just like Alfie!